Clear and work on the background are a hard stuff huahuahuahu, but, it turn's cool, i think! A friend mine say "This Scan of misato are used a lot and lot of times...." I agreed, but, this one are so cool hum! So, i use this again, and again! Oh man, you really have a love affair for Misato. I don't blame you, she's hot. hohoho...^^ I really liked this wall! 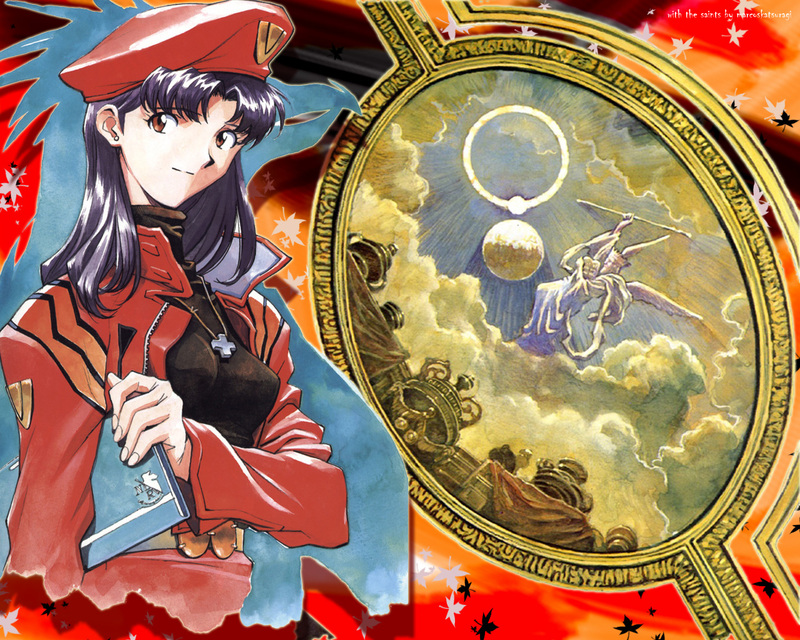 The bg it's a great work, the shadows is another good addition, also love what you did with the scan of Misato.